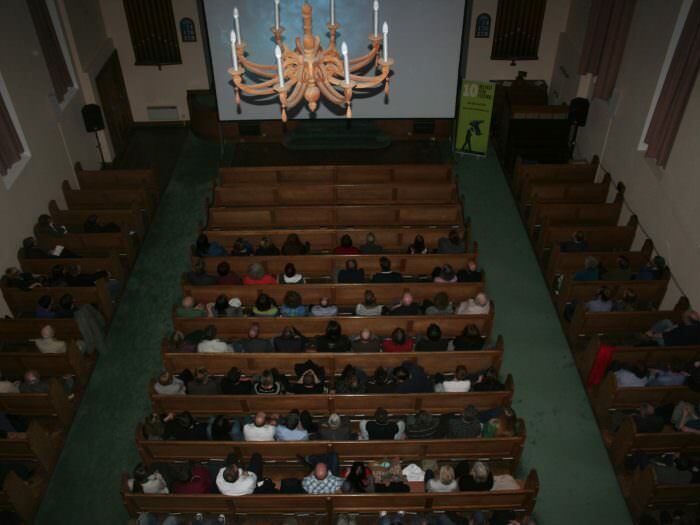 Lord Mayor Naomi Long with Vampire Girl and Frankenstein Girl. 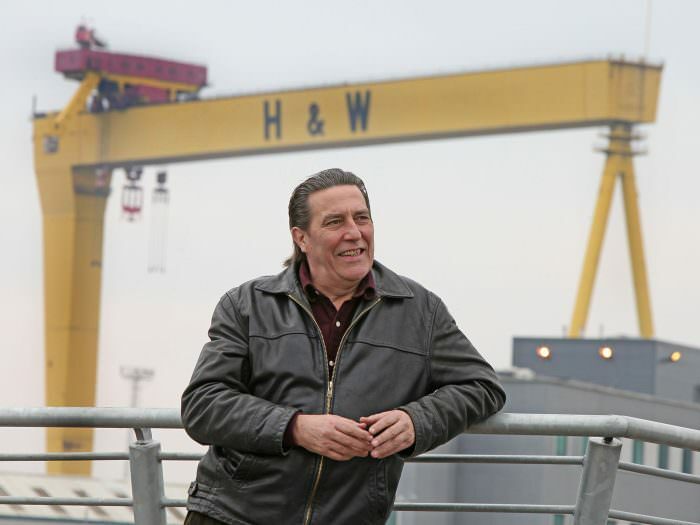 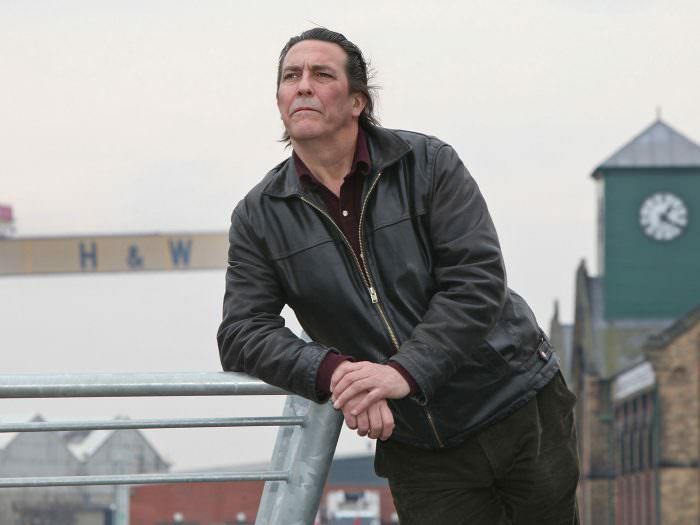 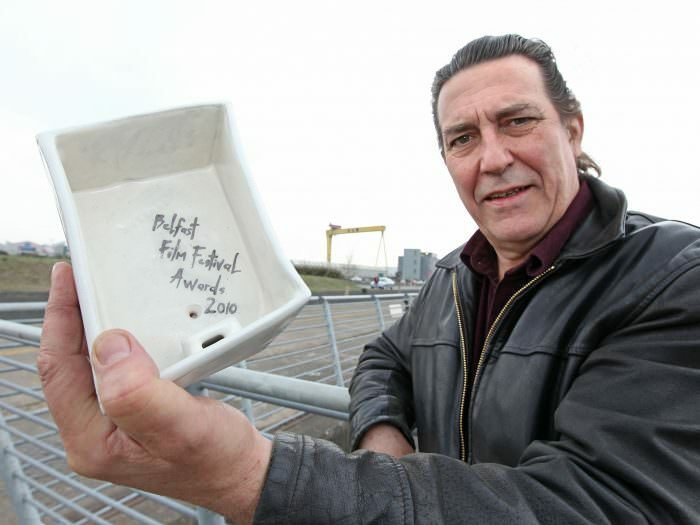 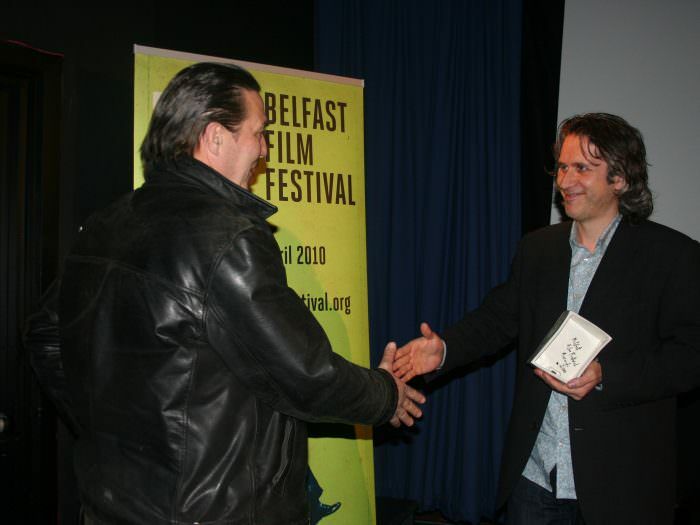 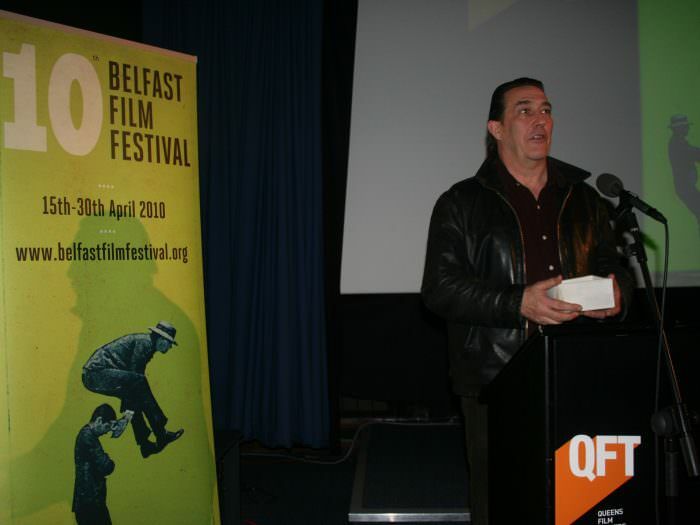 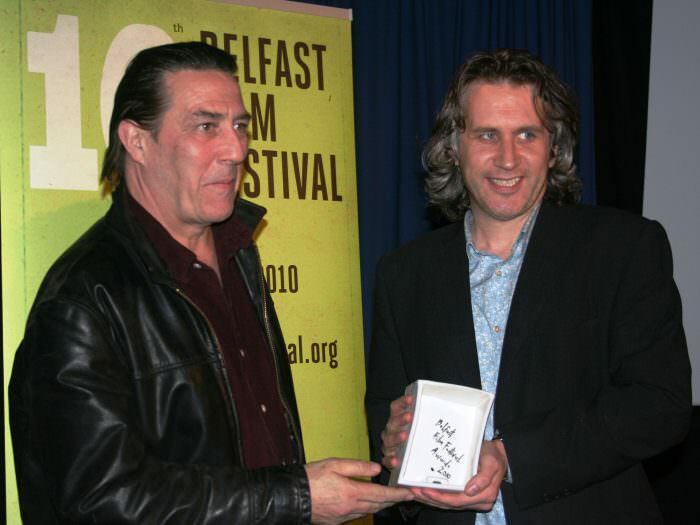 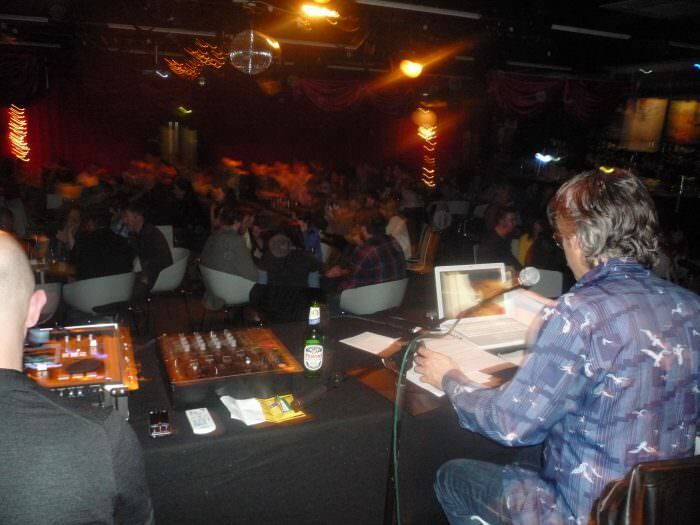 Belfast born actor Ciarn Hinds was the first recipient of our inaugural Belfast Sink Award presented to for his Outstanding Contribution to Cinema and Television. 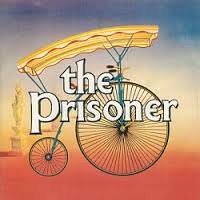 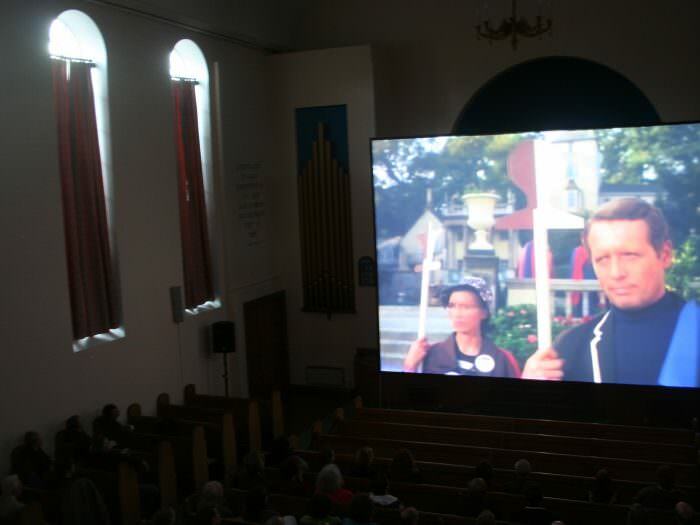 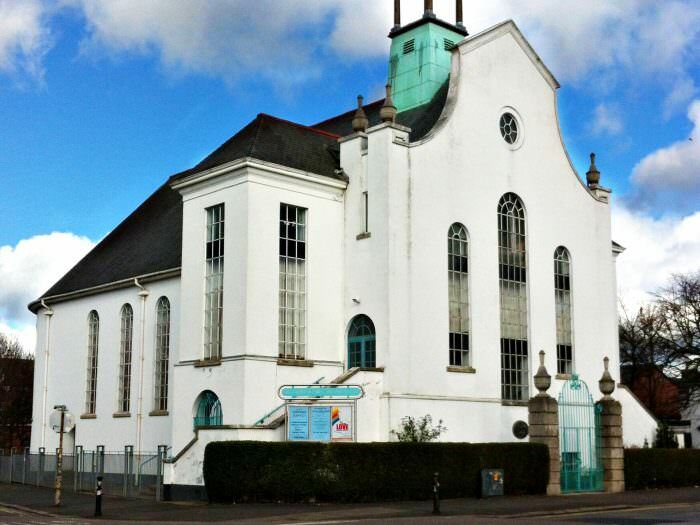 The Prisoner was shown at Church of Christ, Scientist, designed by architect Clough Williams–Ellis, whose work can be seen in Portmeirion in Wales where the 1960s cult series was set. 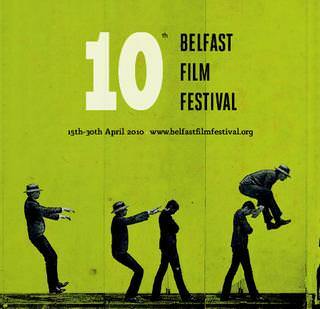 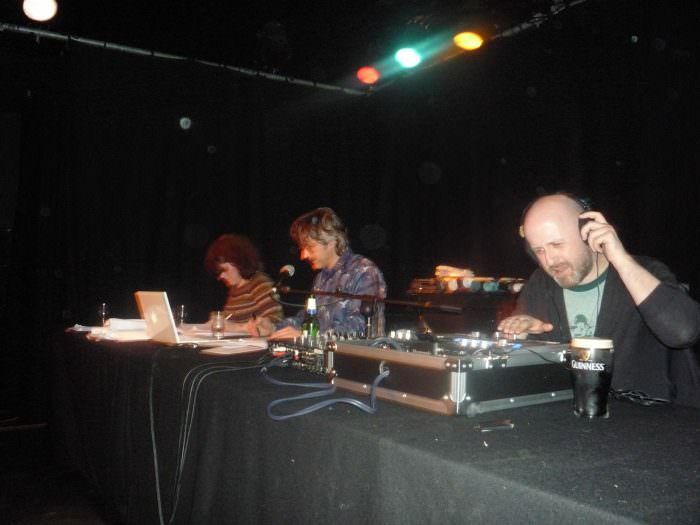 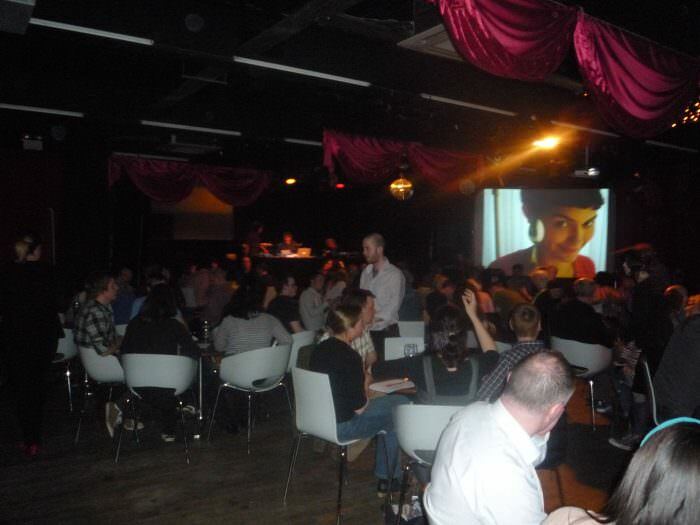 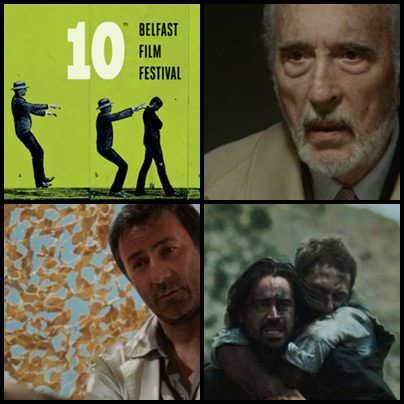 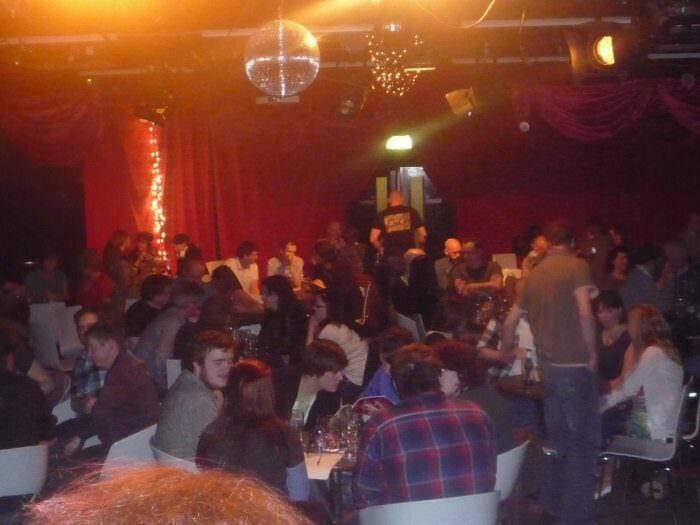 Culture NI provide an overview of the 10th Belfast Film Festival.